In the second of what will be weekly golf betting & tournament previews John Deasy now turns his attention to the HSBC Golf Championship in Abu Dhabi. Phil is DC’s pick to win early this year, very much based on his interview and his past performances on this course “As I look back on 2013 I played some of my best golf and had some huge breakthroughs but I did most of it without a driver,” the American left-hander told reporters on Tuesday. 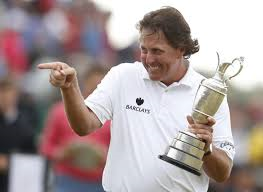 We all remember the interviews in the run up to The Open at Muirfield last year, when Phil think he is on he usually is! “This year I have the best driver I’ve ever hit that lowers my spin rate just like my three-wood. I drive it longer and straighter with my driver than I did with my three-wood“, Mickelson added. “It’s a whole different weapon in my arsenal now and if I drive the ball well, like I have been in practice and in the off-season, heading into this 2014 season it could be the best year of my career for that simple reason“. Best price for Phil is 18/1 with BetFred and CORAL with 5 places while Paddy Power and Stan James are offering 16s with 6 places. 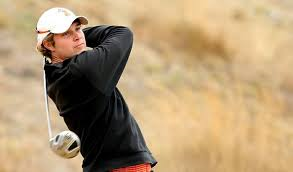 Peter Uihlein is playing some great golf already this season and he is looking to break into the top 50 this year along with having an outside chance of making his first Ryder Cup appearance so the pressure is on, he can only get stronger the more he plays and a great each way bet. The best price you can get Peter at is 80/1 with SpreadEx, 70s with Bet365 or SkyBet and 66 with most of the rest. 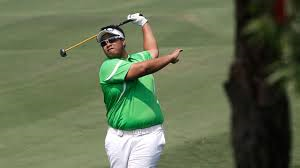 Aphibarnrat has had a very good start to the PGA Tour season and he’s been in the top 10 in 4 tournaments. He is one of the best iron players around with 88% of greens hit and you need that this week. Easy to back each way at 125/1 with William Hill, Bet365, and 888sport while he is 100/1 with most of the others and as low at 80s with Paddy Power. Looks like it will be worthwhile backing the Yanks in Europe (well, on the European Tour at least!) this week. John’s “Break the Bookie Deasy Double” for this week is Phil Mickelson and Brandt Snedeker with Paddy Power, a €5 e/w double should pay our close to €1,752 at current prices!